Cloud growth remains on track. Office 365 business revenue is up 45% year on year, according to Microsoft. Dynamics 365 revenue is up 81%. Azure revenue is up 93%. Of course these figures are offset by static or declining sales of on-premises licenses, though Microsoft does not spell this out precisely. Windows is not doing too badly, despite continuing weakness in the PC market. OEM revenue up 5%, which the company attributes to “a higher mix of premium SKUs”. Surface is weak. Revenue is down 26%. Microsoft blames “heightened price competition and product end of lifecycle dynamics.” The truth is that the Surface range is not good value versus the competition. There should be a perfect marriage of hardware and software, given that it is all Microsoft, but instead there have been too many little issues. The likes of HP and Dell do a better job at lower price and with easier upgradeability. “We had no material phone revenue this quarter” says Microsoft. I remain sad about the killing of Windows Phone, and regard it as a mistake, but that is a done deal. Xbox is doing OK. Xbox live revenue growth has offset declining hardware sales. Search revenue is up 8%. Nobody pays for search, so this is about advertising. Windows 10 drives users to “Cortana” search, and Edge defaults to Bing. Users can easily find defaults changed inadvertently, which is annoying, but Microsoft has a touch competitor (Google). Productivity and Business Processes: Office, both commercial and consumer, including retail sales, volume licenses, Office 365, Exchange, SharePoint, Skype for Business, Skype consumer, OneDrive, Outlook.com. Microsoft Dynamics including Dynamics CRM, Dynamics ERP, both online and on-premises sales. 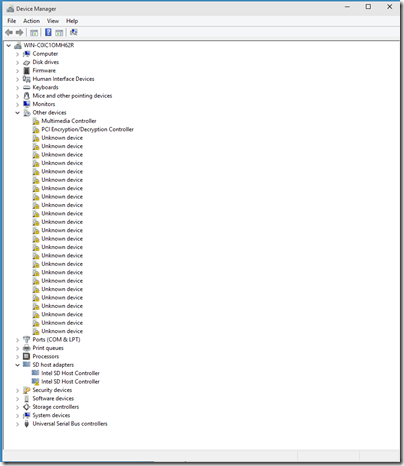 Intelligent Cloud: Server products not mentioned above, including Windows server, SQL Server, Visual Studio, System Center, as well as Microsoft Azure. More Personal Computing: What a daft name, more than what? Still, this includes Windows in all its non-server forms, Windows Phone both hardware and licenses, Surface hardware, gaming including Xbox, Xbox Live, and search advertising. Windows Phone is not quite dead, but Microsoft seems to have given up on the idea of competing with Android and iOS in the mainstream. Year on year, phone revenue is down 58%, Lumia units down from 9.3 million to 5.8 million, non-Lumia phones down from 42.9 million to 25.5 million. This is what happens when you tell the world you are giving up. Windows: Revenue down 7% “driven by declines in the business and consumer PC markets”. Surface: Revenue down by 26% because Surface Pro 3 launched in June 2014; this should pick up following the launch of new Surface hardware recently. Cloud: Microsoft’s “Commercial cloud” comprises Office 365 Commercial, Azure and Dynamics CRM online. All are booming. Azure revenue and usage more than doubled year on year, with 121% revenue growth. In addition, Office 365 consumer subscribers increased by 3 million in the quarter, to 18.2 million, an increase of nearly 20%. Xbox: Steady, with Live revenue up 17%, Minecraft adding 17% to game revenue, and hardware revenue down 17% because of Xbox 360 declining (and by implication, not being replaced by Xbox One, a worrying trend). Is Microsoft now facing permanent long (but slow) decline in Windows as a client or standalone operating system? It certainly looks that way. The last hope is that Windows 10 in laptop, tablet and hybrid forms wins some users over from Mac computers and iPad/Android tablets. Despite some progress, Microsoft still has work to do before Windows delivers the smooth appliance-like experience of competing tablets, so I do not regard this as likely. The app ecosystem is also a problem. Tablets need Universal Windows Platform (UWP) apps but developers can still target more Windows users with desktop apps, discouraging UWP development. Microsoft is also busy removing the advantage of Windows by stepping up its first-party Mac, iOS and Android application development, though this makes sense as a way of promoting Office 365. That leads on to the next question. If Windows continues to decline, can Microsoft still grow with Office 365 and Azure? Of course it is possible, and on these figures that strategy looks to be going reasonably well. That said, you can expect both Google to continue integrating Android and of course Chromebook with its rival cloud services. Apple today does not compete so much in the cloud, but may do in future. If the future Microsoft has to relying on third-party operating systems for user interaction it will be a long-term weakness. I am working on a review of Surface 3, Microsoft’s recently released Atom-based tablet, and wanted to try Windows 10 on the device. How to do this though without endangering the correct functioning of my loan unit? 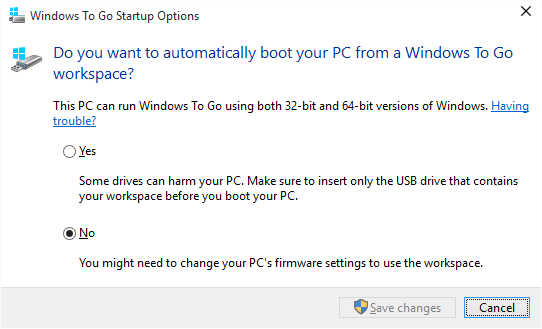 The ideal answer seemed to be Windows To Go (WTG), which les you run Windows from a USB drive without touching what is already installed – well, apart from a setting in control panel that enables boot from Windows to Go. Luckily I have an approved Windows to Go USB drive, a 32GB Kingston DataTraveler Workspace. I downloaded the Windows 10 iso (64-bit, build 10074) and used the Control Panel applet on my Windows 8 desktop (which runs the Enterprise edition) to create a WTG installation. (There are unofficial ways to get around both the requirement for Enterprise edition, and the need for an approved USB device, but I did not have to go there). Next, I plugged the drive into the Surface 3 and restarted. Windows 10 came up immediately. An interesting feature was that I was prompted to sign into Office 365, rather than with a Microsoft account. 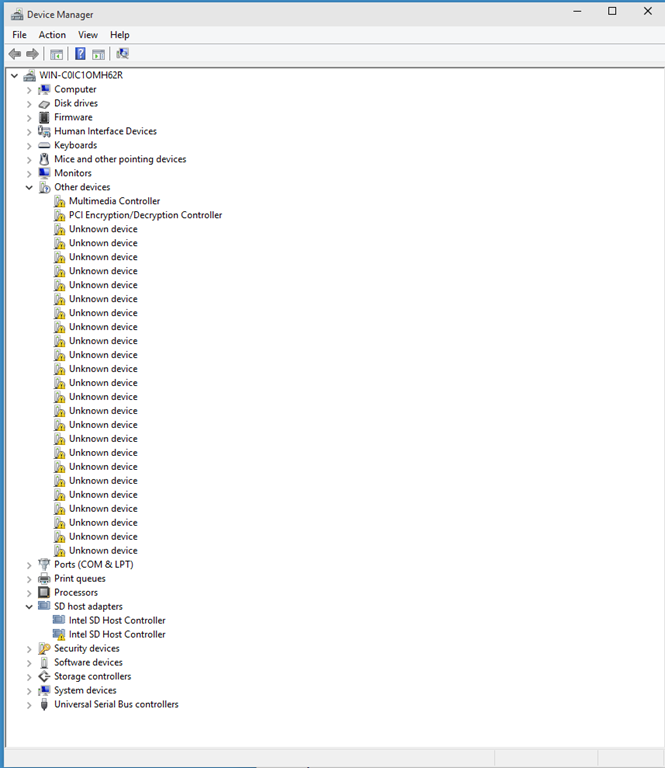 It all seemed to work, though Device Manager showed many missing drivers. The wifi driver must have been one of them, since I had no network. I had anticipated this problem by downloaded the surface 3 drivers from here. 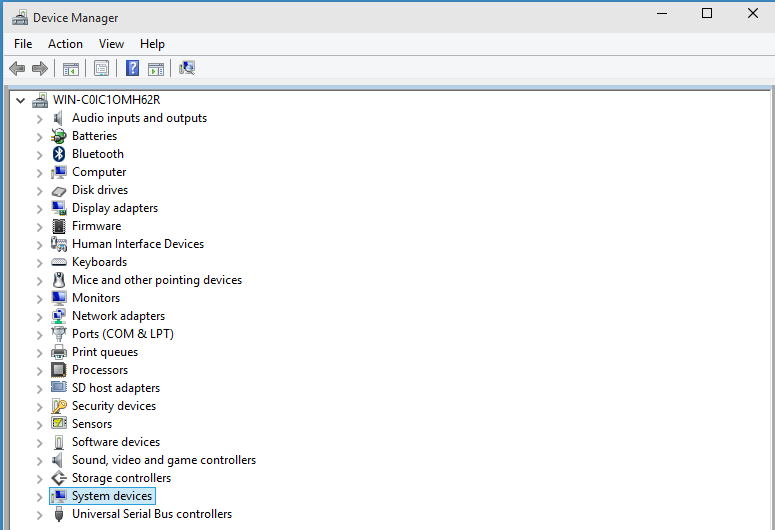 These were inaccessible though, since a WTG installation by default has no access to the hard drive on the host PC. 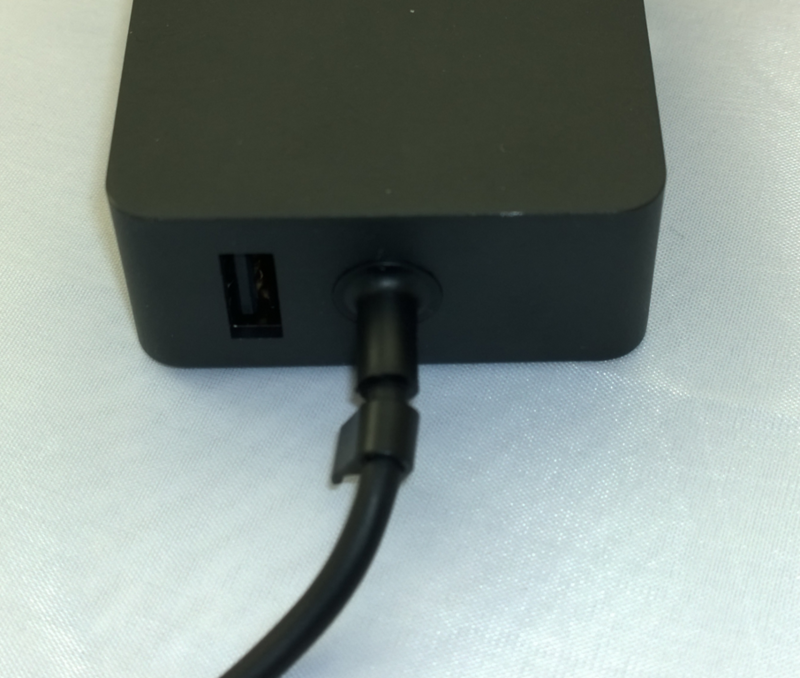 I could not plug in a second USB device with the drivers on it either, since there is only one USB port on the Surface 3. No matter, you can mount the local drives using the Windows Disk Management utility. I did that, and ran the Surface 3 Platform Installer which I had downloaded earlier. It seemed to install lots of drivers, and I was then prompted to restart. Bad news. 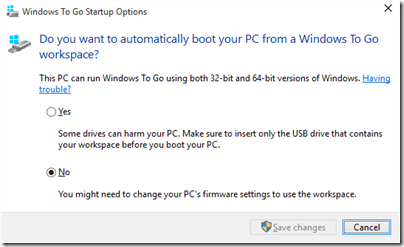 When trying to restart, boot failed with an “inaccessible boot device” error. Fool that I am, I tried this operation again with a small variation. I rebuilt the WTG drive, and instead of mounting the drives on the host, I used it first on another PC, where the wifi worked straight away. I copied the Surface 3 files to the WTG drive C, then booted it on the Surface 3. Ran the Surface 3 Platform Installer, restarted, same problem “Inaccessible boot device”. The third time, I did not run the Surface 3 Platform Installer. 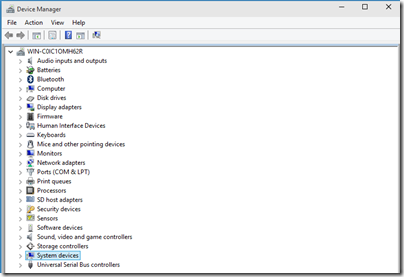 Instead, I installed the drivers one by one by right-clicking on the Unknown Devices in Device Manager and navigating to the Surface 3 drivers files I had downloaded using another PC. That looks better. I restarted, and everything still worked. I have wifi, Bluetooth, audio, cameras and everything. So something the Platform Installer tries to do breaks WTG on my device. The next question is whether the system will update OK when set to Fast for the Windows 10 bleeding edge. So far though, so good. Note: there is an issue with power management. If the Surface 3 sleeps, then it seems to wake up back in Windows 8 if you leave it long enough. Not too much harm done though; restart and you are back in Windows 10. I’ve been using a Surface as my usual travel PC for a while now – mostly Surface Pro (the first iteration) but also Surface RT and Surface 2. Microsoft has announced Surface 3 – is that a good buy? 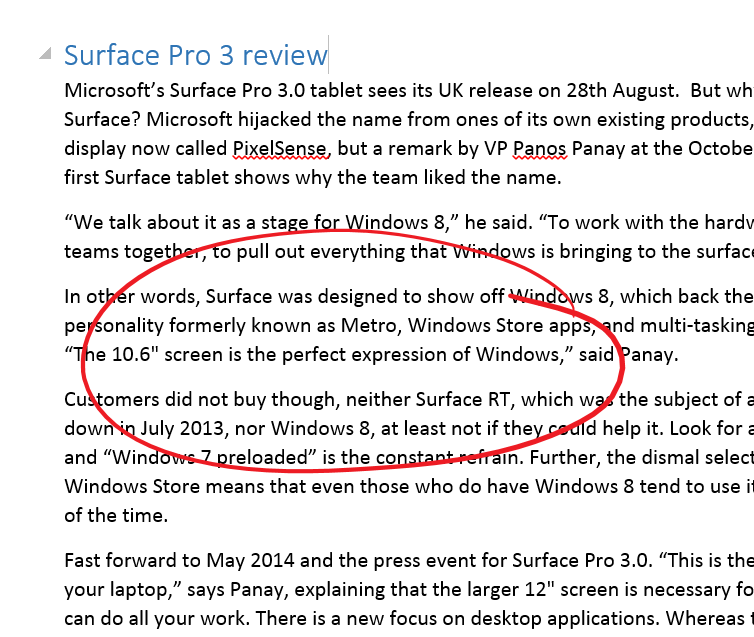 Note: this is not a review of Surface 3. I intend to review it but have yet to get my hands on one. 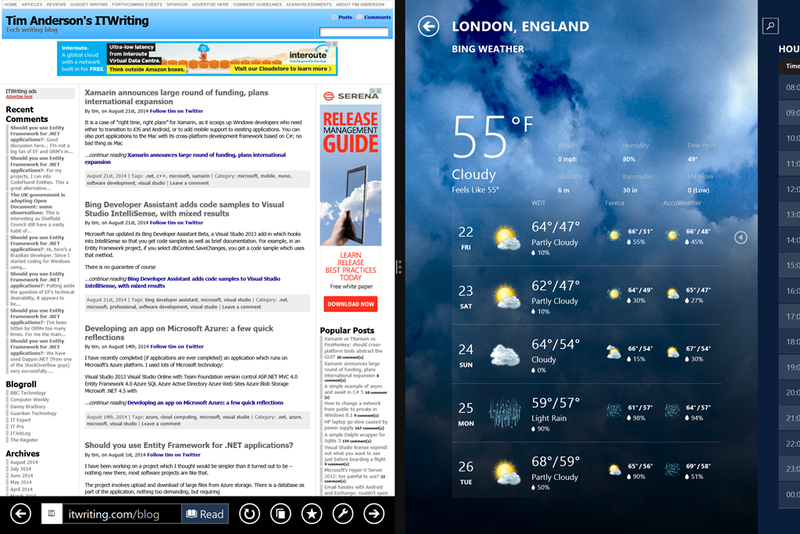 First, a quick note on how I have got on with Surface to date. I love the compact size of the devices and the fact that I can do all my work on them. I find full-size laptops unbearably bulky now – though slim ultrabooks or small netbooks still have some appeal. The main annoyances with my Surface Pro are the small SSD size (I have the 128GB model) and a few technical difficulties, mainly that the keyboard cover (currently the Power Cover) plays up from time to time. Sometimes it stops responding, or I get oddities like the mouse pointer going wild or keys that auto-repeat for no reason. Detaching and re-attaching the keyboard usually fixes it. Given that this is Microsoft hardware, drives and OS, I regard these bugs as disappointing. Surface power handling is not very good. The Surface is meant to be running all the time but sleeps so that touching power turns it on or off almost instantly. That’s the idea, but sometimes it fails to sleep and I discover that it has been heating up my bag and that the battery is nearly flat. To overcome this, and to save battery, I often shut it right down or use hibernate. Hibernate is a good option – fairly quick resume, no battery usage – except that about every third resume it crashes. So I tend to do a full shutdown. I find the power button just a little unpredictable. In other words, sometimes I press it and nothing happens. I have to try several times, or press and hold. It could be the contact or it could be something else – I don’t think it is the contact since often it works fine. The power cover has stopped charging, after 10 months of use. It is under warranty so I plan to get it replaced, but again, disappointing considering the high cost ($199). A few grumbles then, but I still like the device for is portability and capability. Surface Pro 2 seemed to be better that the first in every way. Surface Pro 3 I had for a week on loan; I liked it, and could see that the pen works really well although in general pens are not for me; but for me the size is a bit too big and it felt more like an ultrabook than a tablet. What about battery life? Microsoft quotes Surface Pro 3 as “up to 9 hours of web browsing” and Surface 3 as “up to 10 hours of video playback”. 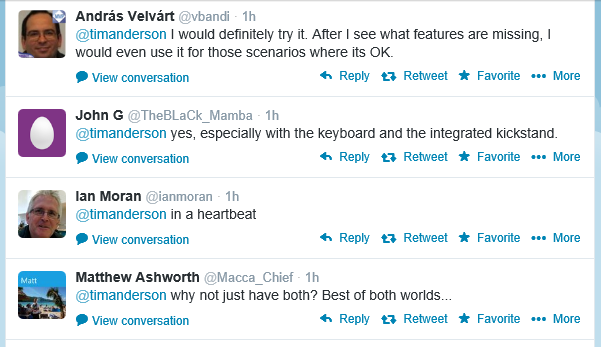 That is a double win for Surface 3, since video playback is more demanding. 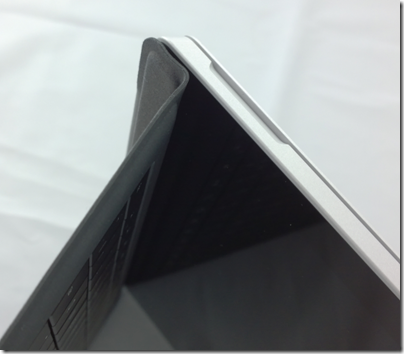 Anandtech measured Surface Pro 3 as 7.6 hrs light use and 3.45 hrs heavy use; the Surface 3 will fare better. How much do you save? A snag with the Surface is that you have to buy a keyboard cover to get the best out of it, and annoyingly the cover for the Surface 3 is different from those for Surface, Surface 2 and Surface Pro, so you can’t reuse your old one. In other words, Surface 3 is around half the price. Will I buy a Surface 3? It does look tempting. It is a bit less powerful than my current Surface Pro and perhaps not too good with Visual Studio, but fine for Office and most general-purpose applications. Battery life looks good, but the 128GB storage limitation is annoying; you can mitigate this with an SD card, say another 128GB for around $100, but I would rather have a 256GB SSD to start with. However, there is strong competition. An iPad Air, I have discovered, makes an excellent travel companion, especially now that Office is available, provided you have a good keyboard case such as one from Logitech; you could get an iPad Air 2 with 64GB storage and a keyboard for slightly less than a Surface 3. The iPad comparison deserves some reflection. The iPad does have annoyances, things like lack of direct access to the file system and non-expandable storage (no USB). However I have never encountered foibles like power management not working, and as a tablet it is a better design (not just because there are abundant apps). It is also worth noting that there is more choice in Windows tablets and convertibles than there was when Surface was first released. Some are poorly designed, but ranges like those from Asus and Lenovo are worth checking out. In a sense this is “job done” since one of the reasons for Microsoft doing Surface was to kick-start some innovation in Windows hardware. I hope to get some hands-on with Surface 3 in the next few weeks and will of course report back. 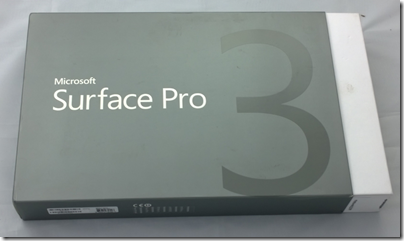 I am about to hand back my Surface Pro 3 after a week or so of use – how is it? I reviewed the Surface on The Register, where I tried to bring out the changed focus of the device, compared to the first two iterations. Surface RT (the first to be released) was released simultaneously with Windows 8 and represented Microsoft’s best effort at creating a device that made Windows 8 work in both its roles, as a tablet controlled by touch and as a laptop replacement. Surface RT runs on ARM and does not allow installation of desktop applications, though with Office pre-installed the desktop is still useful. The first Surface Pro came later and uses the same 10.6" screen and form factor, though because of its more powerful x86 (Core i5) CPU it is thicker and more power-hungry (short battery life). 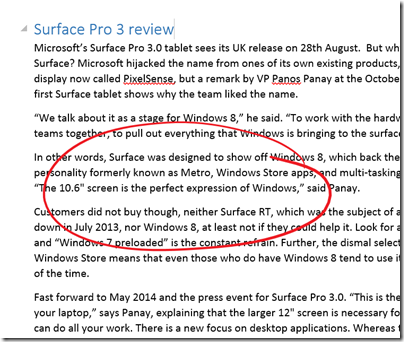 I use both Surface 2 (the second iteration of Surface RT) and Surface Pro regularly so I know the products well. Surface Pro 3 was designed to be a better laptop replacement. It has a larger 12” display and a 3:2 screen ratio, in place of 16:9. The new size feels far more spacious and comfortable for applications like Word, Excel, Photoshop or Visual Studio. 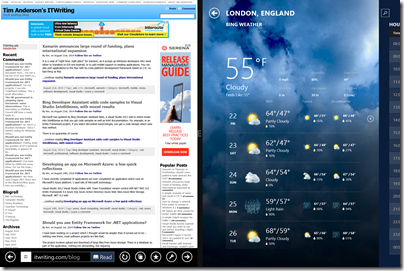 It is less obviously suited if you use a horizontally split view, part of the original Windows 8 design concept, but in practice it is such a high resolution screen (2160 x 1440) that it still works OK. The new display is superb; the only two things I have against it are first, that it is glossy which is a slight annoyance in most environments and a disaster out of doors; and second, that it makes the device larger and therefore less convenient in space-constrained environments like crowded trains if you don’t have a table seat. There is no one perfect size for a computing device, but Surface 3 is large enough that you will may want to have a smaller tablet with you, such as an iPad Mini or a Google Nexus 7. That said, phones are getting larger, so perhaps a phablet-sized phone and a Surface 3 is a good compromise. Performance-wise, I have no complaints about Surface Pro 3; it exceeded my expectations. Although the review unit is only a Core i5, it is among the most responsive Windows PCs I have used; of course it helps that the OS is a fresh install. Considering that the Surface will in some circumstances throttle performance anyway, and that heat may be a problem with a higher spec CPU, it seems to me that there is no necessity to get the Core i7 variants for most purposes. Thanks to Intel’s Haswell design, this performance comes alongside good battery life. The advertised 9 hours is optimistic, but 6 hours plus is realistic. I also noticed that Surface Pro 3 is much better at holding its charge on standby, a common annoyance with older models. The power connector has been improved to make it both easier and firmer to connect. The power supply still has that handy USB power supply built-in; I am often grateful for this. What about the new fold-up keyboard, where the keyboard cover attaches across the bottom of the device to form a stronger hinge? I am not sure about this one. The benefit is real; it is a firmer attachment and better when you use the Surface on your lap (though I have never really found this hard). It is a compromise though. Support for this feature has pushed the Windows key to the right hand of the screen, where you can easily hit it by accident if using Surface as a tablet in landscape mode. It also makes the taskbar hard to tap. A more subtle disadvantage is that the keyboard cover now has two hinges; you can think of it as a flap with two panels, a large one for the keyboard itself, and a thin one for the fold-up section. When you fold the keyboard to the back of the device for tablet use, this two-panel arrangement means it tends to move about more, it does not fit so snugly. I also prefer the keyboard to be flat on the desk when in tabletop mode, but find that it goes into the fold-up position by default and I have to unfold it. The infinitely variable kickstand is also a mixed blessing. I like the flexibility it offers, but it means you now have to think about where to set it every time, it no longer clicks into place. Since I was happy with the choice of two in the 2nd edition models, the new hinge is little benefit to me, but I do appreciate that for some users it makes all the difference. 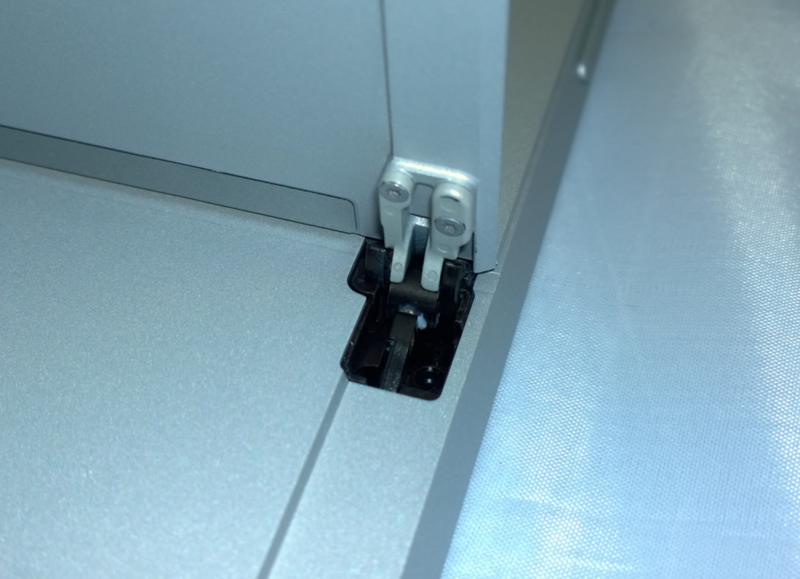 The hinge does look strong, and hopefully will prove to be enduring. These are fine details, and even the complaints do not detract from a positive experience overall. That said, whereas the old Surface is truly distinctive, with the new one I find myself asking whether a conventional Ultrabook with a better keyboard and more USB 3.0 ports is a more attractive purchase. It depends, I guess, how much you think you will use Surface Pro 3 in tablet mode. 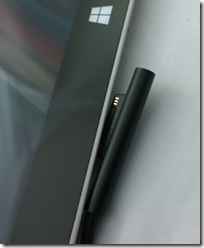 Talking of tablet mode, the pen that comes with Surface Pro 3.0 is the best tablet pen I have used. It is capable of natural strokes and precise control. If you like inking word documents, for example, this is ideal. I recognise this; but after years of experimentation have concluded that pen computing is not for me. I find them too easy to lose, and too awkward to use. Tablet in one hand, pen in the other: you are losing the freedom that tablet computing offers. 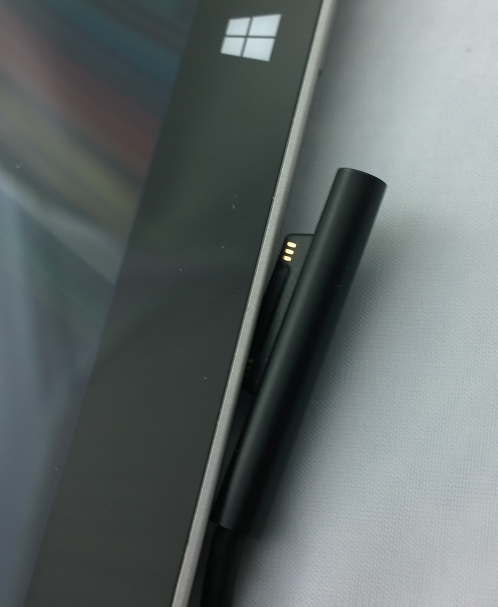 Note also the most clunky aspect of Surface Pro 3.0, which is how you park the pen. The magnetic attachment to the power connector port is hopeless; it falls off in no time. The keyboard loop is better, but my loop has already come off twice, and this will get worse. Time for some superglue? Microsoft should at a minimum make the loop sewn in to the keyboard. Everybody gets a pen, after all, though I also wish it were optional so I could save some money. Another annoyance is only one USB 3.0 port; if Microsoft could squeeze another one in I would find that useful. The camera is pretty good but no better than the one on Surface 2 (which is also pretty good); both are 5MP. However it easily beats the 720p camera on the Surface Pro 2. The Surface Pro 3 has a better front-facing camera than Surface 2. The speakers are better than earlier models too. I am not sure how much this matters, since most of the time you will use a headset or external powered speakers, but sometimes the built-in ones are all you have to hand. As a long-term Surface user I must not neglect to mention the best feature of the device, which is great portability combined with the ability (in the Pro versions) to run most PC applications. I travel enough to appreciate this greatly; it slips into a small bag and is far more convenient to carry than most laptops. I will never go back to a traditional laptop, though I might be tempted by a conventional Ultrabook; some of these are also relatively slim and light, though not so much as a Surface. I like the Surface Pro 3 and regard it as decent value for money, given the all-round high quality. There are compromises though, and personally I would like to see Microsoft retain a smaller 10.6" screen model in the range as in some ways that works better for me. I took advantage of a recent US trip to purchase a Surface Power Cover, at the Microsoft Store in Bellevue, near Seattle. The concept is simple: you get an external battery integrated into a Surface keyboard cover. The keyboard is similar to the second version of the Type Cover, though curiously without backlighting other than a caps lock indicator. The keys are mechanical which for most people means you can type faster than on the alternative Touch cover, though it is less elegant when considered as a cover rather than as a keyboard. The trackpad is the same on all three second edition covers, which is to say, not good. The problem is not the trackpad itself, but the mouse buttons, which are NOT mechanical keys (they were on the first edition Type Cove). Given that you need to press and hold a mouse key for some operations, having a physical click on the trackpad buttons is particularly useful and much missed. 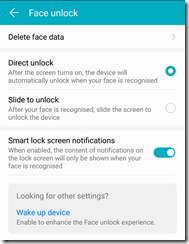 Another annoyance is that you cannot disable tap to click, which means some mis-clicks are inevitable, though on the flip side it is easier to tap to click than to use the fiddly mouse buttons. Having said that it is the same, I have noticed that the trackpad on the Power Cover seems a bit smoother and better behaved than the one on the Type Cover 2. This could be sample variation, or that it is new, or that Microsoft has slightly tweaked the internal design. As you would expect, the Power Cover is heavier and more substantial than the Type Cover, though I find you notice the weight more than the bulk. Even with the Power Cover, it is still smaller and neater than a laptop. The extra rigidity is a benefit in some scenarios, such as when the keyboard protrudes over the edge of a table. 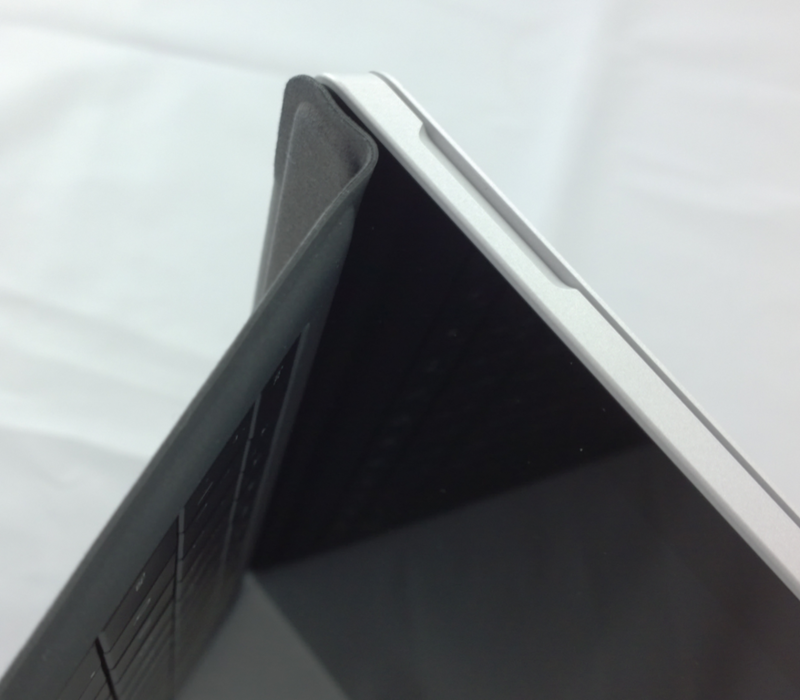 The fabric hinge, which is a weak point in the design of all the Surface covers, seems to be the same on the Power Cover and I fear this may cause problems as the device wears, since the extra weight will put more strain on this hinge. As with the other keyboard covers, if you fold it back under the tablet, the keys are disabled. In this mode the Power Cover is purely an external battery. 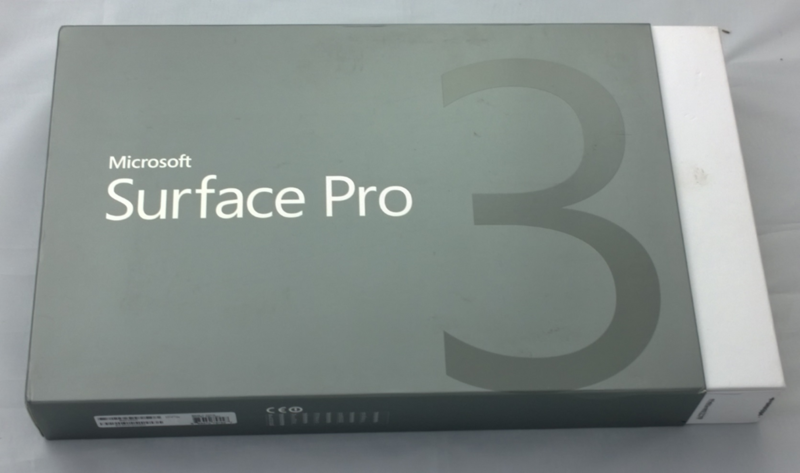 I used the cover with the original Surface Pro (it is compatible with all the models other than the original Surface RT). I understand that a firmware update is needed for the power cover to work; if so, it installed seamlessly though I did need to restart after connecting the keyboard for the first time. Everything worked as expected. 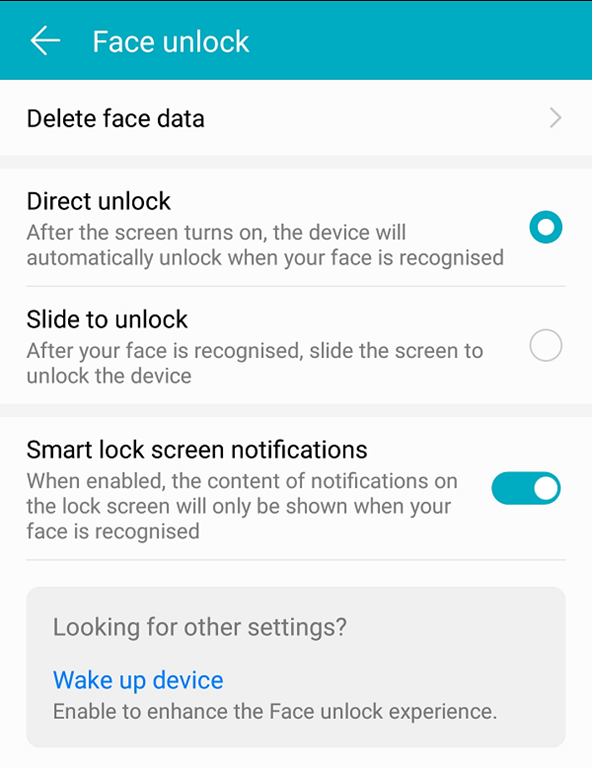 If you click the battery icon in the notification area you can see the status of both batteries and which is charging, if you are plugged in; generally one one charges at a time. I boarded my flight and noticed that the Surface is smart enough to use the external battery first, and then the internal, presumably on the basis that you might want to remove the keyboard and use the Surface in pure tablet mode. It is impossible to be precise about how much extra time you get from the Power Cover, since it depends how you use the machine. It is a big benefit on the original Surface Pro which has rather poor battery life; extended battery life is perhaps the biggest real-world difference between the Surface Pro and the Surface Pro 2. Subjectively I have doubled the battery life on my year-old Surface Pro, which for me makes the difference between running out of battery fairly often, and hardly ever. The Power Cover costs $199, which is expensive considering that you can get an entire spare Android tablet or Amazon Kindle Fire for less; but put in the context of the equally over-priced Type Cover, which costs $129, you can argue that it is not that much extra to pay. Prices from third-party sites will likely be lower once availability improves. If you need it, you need it; and this must be the best way to extend the battery life of a Surface tablet. The Surface keyboard covers are not perfect, and I still sometimes see an annoying fault where the mouse pointer or keys stop responding and you have to jiggle the connection or tap the screen a few times to get it back (I am sure this is a driver issue rather than a poor physical connection). Still, I put up with a few irritations because the Surface gives me full Windows in a more convenient and portable form factor than a laptop, and there is more right than wrong with the overall design. If you already have a keyboard and your Surface lasts as long as you need – forget it. If you have a Surface that runs out of power with annoying frequency (probably a Surface Pro 1), this is worth it despite the high price. If you don’t have a keyboard (for example, you are buying a new Surface) then this is worth the extra cost over the Type keyboard. 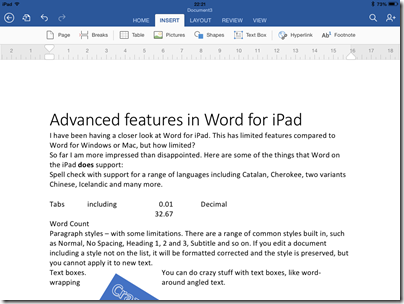 A close look at Word for the iPad. What is included and what is missing? 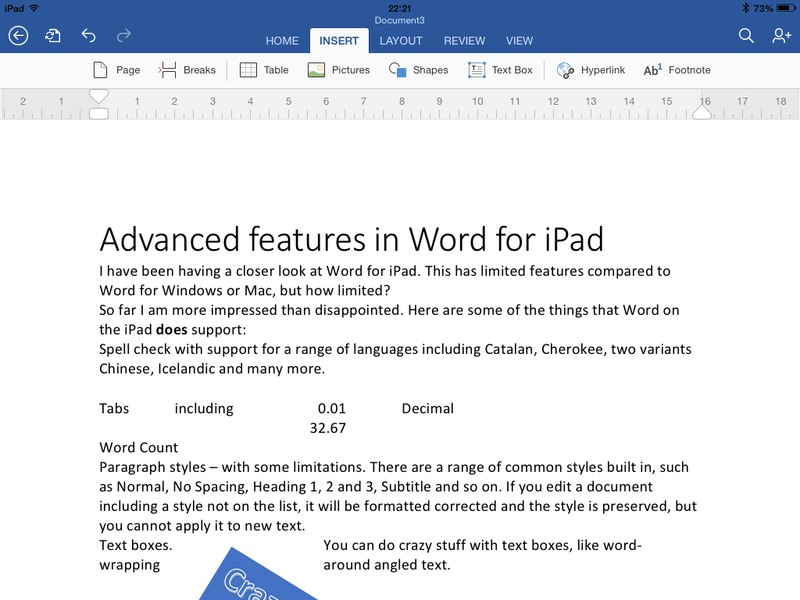 I have been having a closer look at Word for iPad. This has limited features compared to Word for Windows or Mac, but how limited? 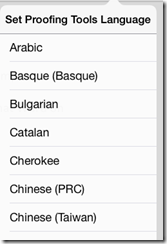 Spell check with support for a range of languages including Catalan, Cherokee, two variants Chinese, Icelandic and many more. 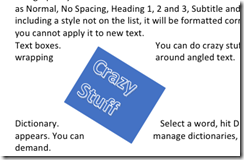 Paragraph styles – with some limitations. There are a range of common styles built in, such as Normal, No Spacing, Heading 1, 2 and 3, Subtitle and so on. If you edit a document including a style not on the list, it will be formatted corrected and the style is preserved, but you cannot apply it to new text. Text boxes. 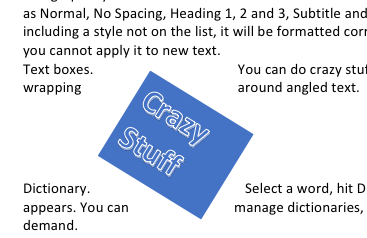 You can do crazy stuff with text boxes, like word-wrapping around angled text. Dictionary. 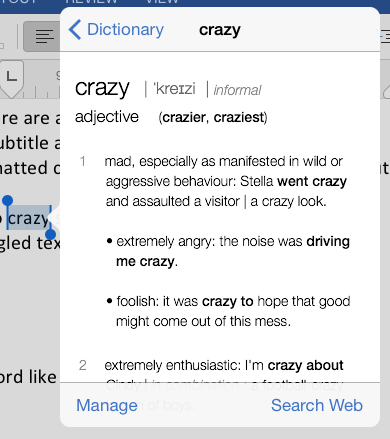 Select a word, hit Define, and a dictionary definition appears. 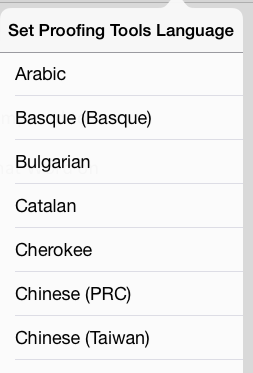 You can manage dictionaries, which seem to be downloaded on demand. Tables. People use tables for things like formatting minutes: speaker in left column, actions in right, and so on. They work fine in Word on iPad. You can insert a table, type in the cells, and select from numerous styles including invisible gridlines. Track changes. You can review changes, make comments,suggest new text, approve changes made by others, and so on. You can change the direction of text by 90°. You can edit headers and footers. You can insert page numbers in a variety of formats. You can use multiple columns. You can insert page breaks and column breaks. You can change page orientation from portrait to landscape. 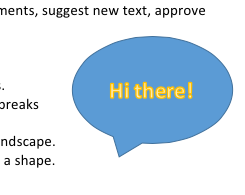 Shapes are supported, and you can type text within a shape. Word count is available, with options like whether to include footnotes, plus character count with or without spaces. Pictures: you can insert images, resize, stretch and rotate them (though I have not found a crop function) and apply various effects. 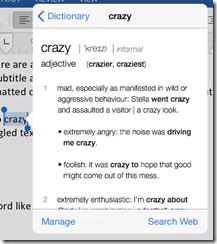 Overall, it is impressive, more than just a lightweight word processor. So what features are missing, compared to the desktop version? I am sure the list is long, but they may be mostly things you do not use. 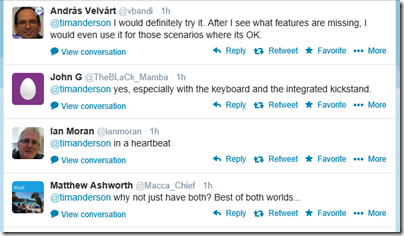 No character map for inserting symbols – you have to know the keyboard shortcut. Academic features like endnotes, cross-references, index, contents, table of figures, citations. If you have Microsoft’s Surface tablet, would you rather have the equivalent of Office for iPad, touch-friendly but cut-down, or the existing Office for Surface RT? I took a sample of opinion on Twitter and most said they would rather have Office for iPad. This is Office reworked for tablet use, touch friendly in a way that desktop Office will never be. Then again, Office on Surface RT (VBA aside) is more or less full desktop Office and can meet needs where Office for iPad falls short. If Microsoft is still serious about the “Metro” environment, it will need to do something similar as a Windows Store app. Matching the elegance and functionality of the iPad version will be a challenge. I typed this on the iPad of course, using a Logitech Bluetooth keyboard. I would not have wanted to do it with the on-screen keyboard alone. However for the final post, I moved it to Windows (via SkyDrive) in order to use Live Writer. Word on the Surface has a Blog template I could have used; another missing feature I guess. Microsoft has exceeded expectations. This would sell well in the App Store, but you need an Office 365 subscription, making it either a significant annual cost, or a nice free bonus for those using Office 365 anyway, depending on how you look at it. The real target seems to be business users, for whom Office 365 plus Apple iPad (which they were using anyway) is now an attractive proposition. I am a fan of Microsoft’s Surface 2; but looking at the display at Dixons in Heathrow’s Terminal 3 it is obvious that Microsoft has work to do in terms of retail presence. There are no clues here as to why anyone might want to buy a Surface, and no indication that Surface 2 runs anything other than standard Windows 8, other than the two letters RT which you can read on the spec summary. Windows RT is both better and worse than Windows on Intel. It is worse because you cannot install new desktop applications, but it is better because it is locked down and less likely to suffer from viruses or annoying OEM add-ons and customisations that usually result in a worse user experience. Surface 2 has excellent performance, Microsoft Office is bundled including Outlook (though without the ability to run Visual Basic macros), and it is expandable using Micro SD cards or USB 3.0 devices, all features I miss when using an Apple iPad. I do use the desktop a lot on Surface 2. Simple applications like Paint and Notepad are useful especially since they have, you know, cool resizable and overlapping windows so you can have multiple applications on view. The Apple iPad is better displayed and I am sure its greater prominence is more than justified by relative sales.